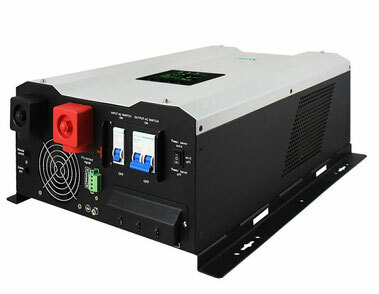 CNS110 Series Hybrid Inverter is designed to serve as a backup power supply for AC loads. 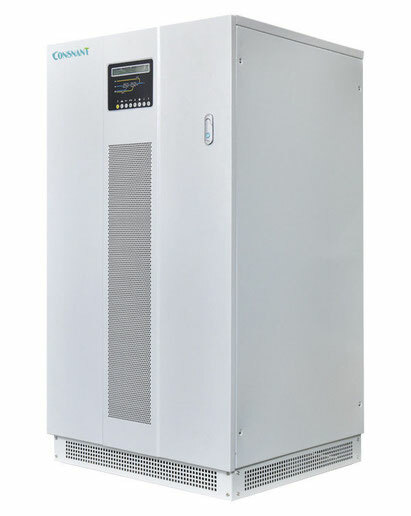 The input power of CNS110 Series hybrid inverter comes from PV system and AC grid which not only supply power to AC loads but also charge the battery bank when the power from AC grid or AC generator is present(also known as Line Mode). In the event of the AC grid (or AC generator) outage, the AC loads can be alternatively powered by PV system(if the illumination is sufficient) and the battery bank. 1. AC/Solar Charging Off Grid Hybrid Inverter. 4. LCD shows the solar capacity. Load>150%, beeps 0.5s every 1s, and fault after 20s. Advanced IGBT module with high reliability. Realize various intelligent control functions basing on DSP full digital control technology. Perfect production function, higher system reliability. Data communication through RS232 port or dry contact to realize monitoring operation status.